Jonathan Dunne is back! 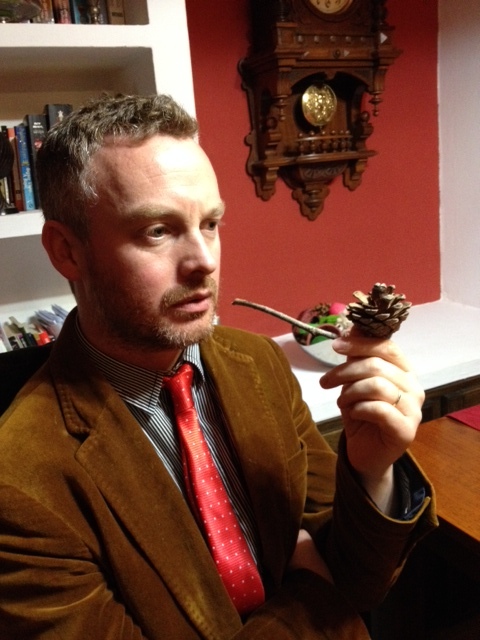 As many of my readers know, I have been following the irony, humor and writing process of Jonathan Dunne through the years, and it has been a privilege to be along for the ride. Please help me in welcoming him back to my Writer’s Block! Susan: As an aspiring writer myself, I would first like to congratulate you on the publication of your third novel, The Nobody Show! That’s quite an accomplishment. Jonathan: Thanks Susan, another year – the years are passing too fast for my liking. Susan: I’d love to start off this interview having you share a little blurb about The Nobody Show. Susan: One of the things I enjoy about your writing is how your “Narrator” includes “The Reader” in discussions. You have done this in both Living Dead Lovers and The Nobody Show. What inspired you to do that? Susan: A great image. I would agree that your style does indeed bring the reader very close to the action! Another bit of interest I find in your books is how you seem to tie them all together, either with current characters mentioning your own previous books, mentioning characters from previous books which just so happen to live in the locale of your current story, or even tie-ins to the locations themselves, almost like a soap opera! I know that your novels are not really a series, but in some ways, they could be! What are your thoughts on that? Jonathan: This is an interesting question and I’d like to address it by quoting a recent The Nobody Show review on Goodreads where the reviewer mentions: “Not sure how I feel about this level of self-promotion. It’s kind of cute and clever, but also kind of annoying…” To a degree, the reviewer is correct – I am an Indie writer after all and who else is going to promote my books? However, my first goal was to give a sense of place. All my stories occur, at some level, in the fictional town of Old Castle where the weird and wonderful happens. It just gives me a platform to work on and where I feel comfortable and I do mention this because everybody knows everybody in small towns and stories do overlap. Susan: Brilliant! 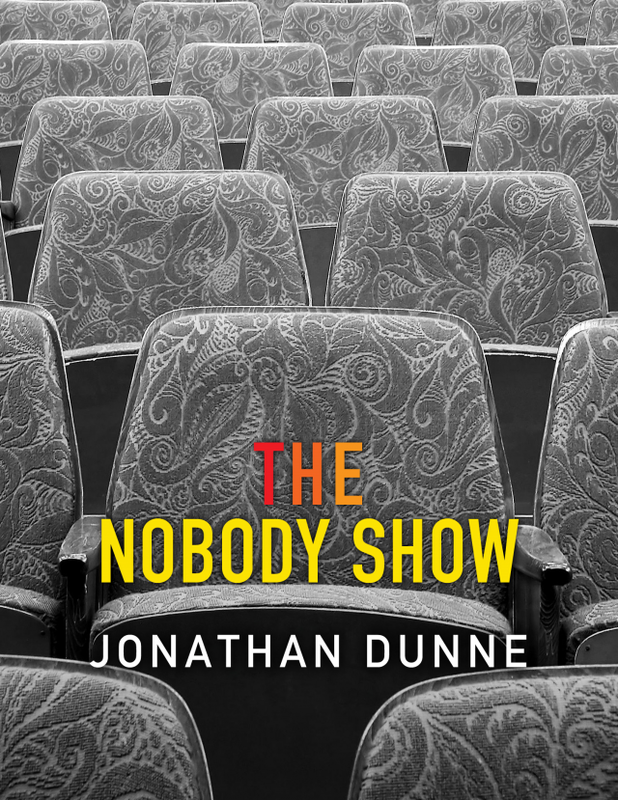 As I pointed out earlier, The Nobody Show is your third novel. Did you follow the same writing process you followed for Balloon Animals and Living Dead Lovers? If not, how was it different this time around? Jonathan: Same process…writing 1 or 2 hours as early in the morning as I can, 7 days a week. Susan: During the writing process of The Nobody Show, you took to YouTube for some candor about it. Here is a link to your channel: https://www.youtube.com/channel/UCbUM1w1Jt7j1dFhtrJha9vQ/videos I liked that! As a fan, it made the wait time seem to go more quickly. What prompted you to share those short on-screen chats on the internet? Is it something you will continue? Jonathan: I’m not too sure about this YouTube thing. I just felt that it was an extra tool at the time to get the word out. Now and again, I like to upload a short video explaining (trying to) some aspects of my writing process. Don’t know if it’s of interest to anybody, but sometimes it helps me think when speaking aloud (and to myself). I know that I would like ‘behind-the-scenes’ stuff from a writer I like because it always helps understand the writer and the book a little better. Susan: Absolutely. The Nobody Show adheres to the comedic quality that we all have known and loved from your previous works. However, it is noticeably longer. Was that change intentional, or did the story just present itself that way to you? Jonathan: Yeah, it’s too long! I get it! J It wasn’t intentional but I didn’t know how to wrap it up. It finished at its natural ending, I feel. If anything, I think I cut short some characters which deserved more page-time. Susan: In my review of The Nobody Show, here http://www.amazon.com/review/R1Y1Q1ZPMZAGRD/ref=cm_cr_rdp_perm I mention the depth of storyline. Nice job on that! Was Arthur Lawless a character you connected with on a deeper level than other characters of your previous novels? Jonathan: I connected with Arthur as I have connected with Cabbage in LDL and Jonny Rowe in BA. All these characters are idealists and trying to make sense of the world they find themselves in. They are genuine and honest in their struggle and I think that comes across in the writing – how many times have I read, ‘it’s a crazy story but strangely believable’ in a review of one of my books. Susan: In the last interview we had together, http://www.amazon.com/review/R10F3FSXFTU5LM/ref=cm_cr_rdp_perm?ie=UTF8&ASIN=B00H881V14 I asked if you had a favorite character. In your response, you mentioned that it was like parenthood, in that you simply couldn’t have a favorite among your children. But The Nobody Show has such a unique cast! Would you still answer my question about favorites the same way? Susan: Lastly, do you have another novel in the works? If so, could you possibly spare a tiny hint for me and my readers? Jonathan: I am answering this question at a cross-roads in my writing endeavors. I am playing with an idea for a new book that would be in keeping with what you’ve read previously. On the other hand, I’d love to write a book for kids but it just doesn’t seem to happen for me, maybe it just isn’t me. I do tend to look at the world through a child’s eyes (I think) but writing for children seems to evade me and it doesn’t feel organic. I suppose my books to date do have an off-kilter, even child-like absurdity to them – I’ve read ‘immature’ in reviews so let’s see. Whatever it is will have to be from the heart because I’ll drop it if it feels fake to me. Thank you so much, Jonathan! As always, it’s been a pleasure. Good luck to you and your writing, whatever form the books happen to take, novel or otherwise. This entry was posted in Author Interviews and tagged #amwriting, #authorinterviews.